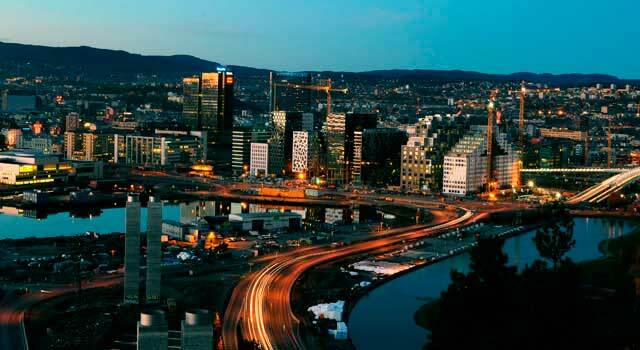 Use this website to quickly find the most important information about Oslo Airport - Gardermoen: Flights (Departures, Arrivals), Parking, Car Rentals, Hotels near the airport and other information about Oslo airport. 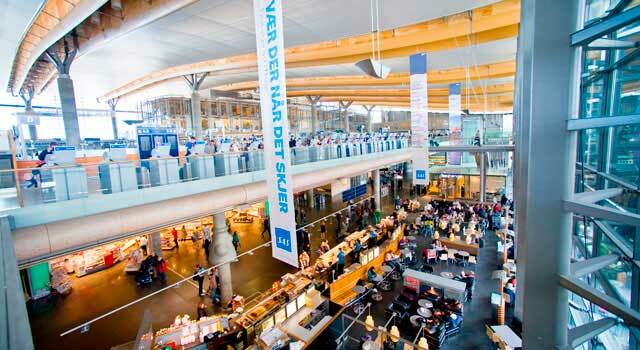 Plan your travel to Oslo Airport with the information provided in this site. Oslo Airport (IATA: OSL, ICAO: ENGM) is the main airport serving Oslo, the capital city of Norway. Do not confuse this airport with low-cost airports located in Torp and Rygge. The airport is located in Gardermoen, 35km northeast of Oslo. Oslo Airport - Gardermoen (IATA: OSL) is the busiest airport in Norway. 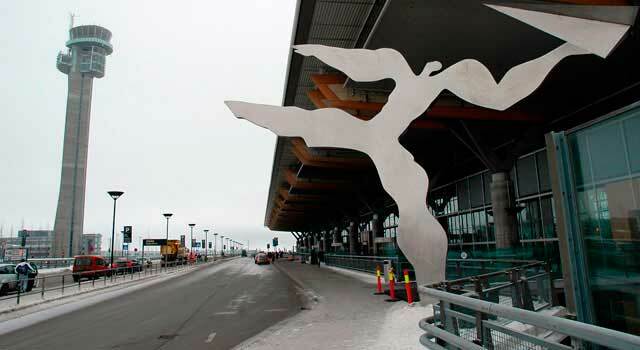 The airport is located 35 kilometres northeast of Oslo. Oslo Airport served 27 Million passengers in 2017. There is only one terminal in Oslo Airport. The airport has been expanded with a third pier. The airport is a hub for Scandinavian Airlines and Winderoe, and the operating base of Norwegian Air. Gardermoen Airport started as a military airport and afterwards as a secondary airport serving the city of Oslo. On 1992 the parliament decided the new main airport of Norway should be built in Gardermoen. The construction started in 1994 and the airport opened on 8 October 1998. Oslo Airport is the largest airport in Norway and serves as a hub for international passengers flying to another destinations in Norway. In 2017, more than 27.4 million passengers used the Airport, 15.8 million of these being international passengers. Is the 2nd busiest airport in Nordic countries after Copenhagen Airport. Oslo Airport has one unique terminal, which is 819 metres long. The Terminal is divided in two piers (East and West). The domestic flights are served in the West Pier (gates C1-C8), and the international flights from the East Pier (gates E2-E15, D1-D11, F12-F28). The terminal has reached the maximum capacity of 23 million passengers. As a result of this, a new pier has been constructed and inaugurated in 2017, the Norh Pier, which is home of boarding gates A22-A27 and access to gates B1-B8, E2-E28 and F12-F28. The Terminal is divided in two levels, Departures Level on the Ground Floor and Arrivals Level at Level 1. On the other hand, the Railway Station is located between both levels. WiFi: There is free WiFi for all passengers for the first 2 hours. Restaurants and Bars: There is a wide range of high quality restaurants and bars. There are two hotels within walking distance of the Terminal: Radisson Blue and Park Inn. Other Facilities: Three Lounges, Currency exchange, ATM, baggage storage place, Lost and Found Service. See more information about Services here. There are good options to connect to Oslo City Centre. Currently, 70% of passengers use public transport to and from the airport. 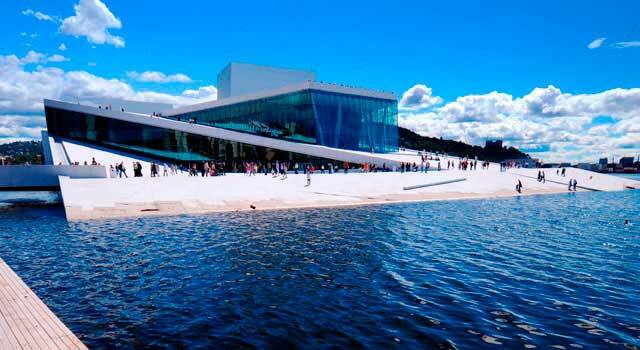 - Car Rental: Check the different companies that provide service at Oslo Airport. To get more information, go to Transport page online. - More than 40 airlines operate at the airport. - 242,555 aircraft movements in 2017 with 27,482,315 passengers. - Is connected with 162 airports. - The busiest domestic routes are: Trondheim, Bergen-Flesland, Stavanger-Sola, Tromso and Bodo. 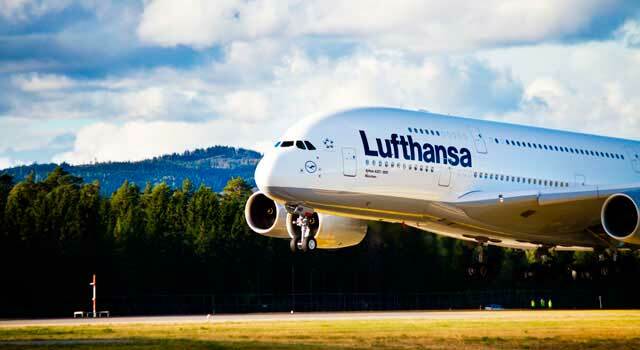 - The busiest international routes are: Copenhagen, Stockholm, London, Amsterdam and Frankfurt.